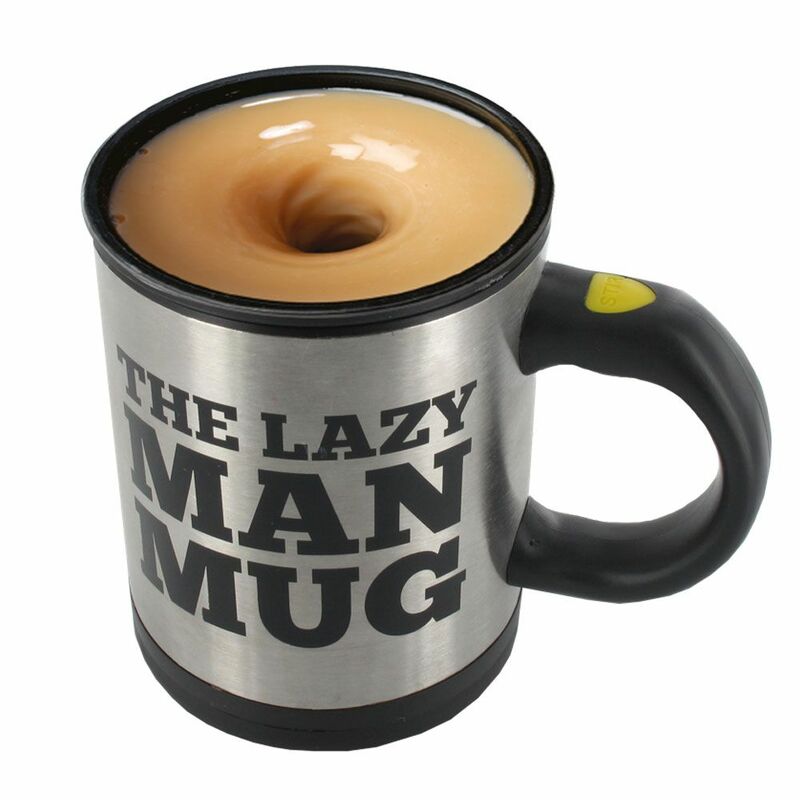 This latest gadget is guaranteed to take all the stress out of making your morning cuppa. If you've ever wanted a cup of tea or coffee but couldn't face the risk of injury and strain involved in stirring it, then this is definitely a must-have gadget for you. Instead of having to spend time and energy stirring it yourself, simply push the thumb-friendly button, sit back, relax and watch as your tea stirs itself! No more spoons, no more nonsense.... simple! Requires 2x AAA batteries (not supplied) and measures approximately 11.5cm in height and 8cm in diameter. Hand wash only.